Skittles is finding out the hard way that in the eyes of today’s Perpetually Offended, there’s just no winning. The original “taste the rainbow,” decided to honor LGBT Pride Month the best way they knew how – by giving up their trademark color riot in favor of “the only rainbow that matters.”And that attempt at selflessness is getting them labeled “racist” for their trouble. It all started when Skittles announced their attempt to celebrate Pride Month, traditionally celebrated in June by members of the LGBT community and their supporters. The company declared their traditionally colorful candies and its wrapping would go colorless, in an effort to recognize the importance of gay pride. Pure white, LGBT Pride-supporting Skittles. “During Pride, only one rainbow matters. So we’re giving up ours to show our support,” Skittles said in a message printed on their now temporarily bland packaging. 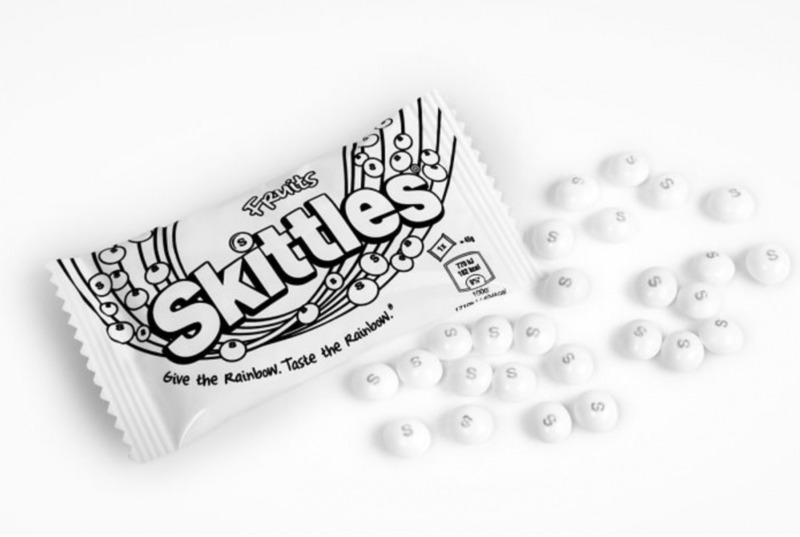 In response, more than a few folks – namely those with Twitter accounts – blasted Skittles for supporting “white supremacy” with their all-white candy. You just can’t win for losing, these days.